Indian tennis ace Yuki Bhambri will aim to kick-start his Australian Open campaign on a winning note when he locks horns with Marcos Baghdatis of Cyprus in the opening round of the tournament here at the Melbourne Park on Monday. 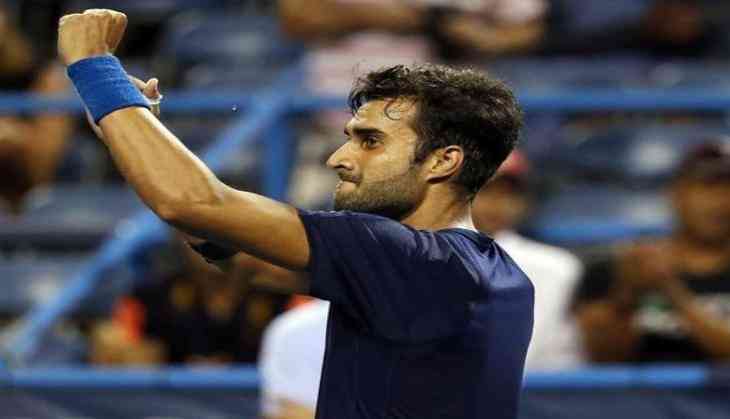 Earlier, Bhambri qualified for the main draw of the first major of the season after beating Canada's Peter Polansky in the third and final qualifying match. The 25-year-old struggled with his serve in the opening set before Polanksy pocketed the set with ease. But Bhambri rebounded strongly in the remaining two sets and won the match 1-6, 6-3, 6-3 in one hour and 55 minutes. It should be noted that Bhambri is a lone qualifier in the men's singles event. In the men's doubles event, starting from January 17, Indian pairs of Leander Paes and Purav Raja and Rohan Bopanna along with his French partner Edouard Roger-Vasselin will begin their respective campaigns. Nadal will begin his campaign later today when he takes on Dominican Republic's Victor Estrella Burgos in the first round. Former world number one Andy Murray and Japanese tennis star Kei Nishikori will miss the first major of the season because of their respective injuries. On the other hand, the women's draw is wide open, with just two former champions will be seen in action. Venus Williams has already been knocked out of the tournament after suffering a shocking 3-6, 5-7 defeat against Swiss star Belinda Bencic, while Maria Sharapova, Simona Halep, Petra Kvitova, and Karolina Pliskova among others will be seen playing for the title. 2017 Australian Open champion Serena Williams had earlier opted out of the competition, saying that her preparations had fallen just short of what she needed to be competitive after giving birth in September.